Orkney FC are set to take on Alness United at the KGS 3G on Saturday. Orkney Football Club’s first home match in two months is scheduled to take place this weekend, facing in-form Alness United. The match is due to take place at the KGS 3G — not Dounby as originally scheduled. The match will kick-off at 12.30pm. 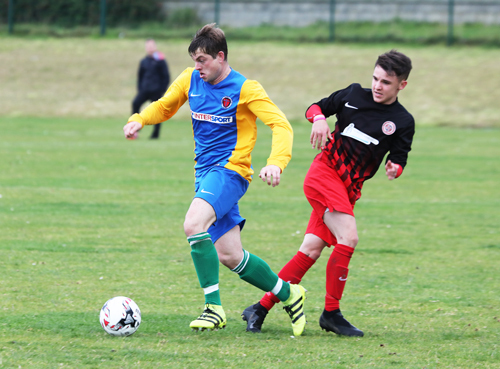 Orkney, who drew with Golspie Sutherland last time out, will be aiming to inflict United’s first defeat of the season when the two sides meet. Orkney’s in-form First XV rugby side are currently scheduled to face league leaders Gordonians in Aberdeen tomorrow afternoon from 12.30pm, however, with high winds forcing ferry cancellations, this may be subject to change. The Orkney Dragons are also on their travels, facing Inverness Craig Dunain at 12 noon on Saturday, while at home, the club’s under-14 and under-16 sides take on Ross Sutherland on Sunday at 12.30pm. Also in action are the county’s roller derby side, the Orkney ViQueens, in only their second competitive match, while in youth football, the P1 to P4 Fun 4s and Super 5s will take place at the Pickaquoy Centre on Saturday evening. The high winds currently sweeping over the county has already meant that there is travel disruption so it is hoped that the weekend’s sport will go ahead.